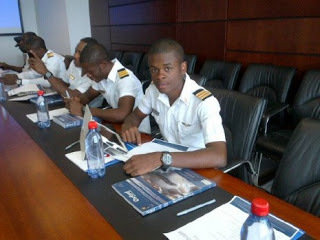 A 20-year-old Nigerian, Favour Odozor, has emerged as the youngest with the Commercial Pilot Licence (CPL) in both Nigeria and South Africa. Mr. Odozor who graduated alongside 15 other trained pilots at the Afrika Union Aviation Academy (AUAA), Mafikeng, South Africa on Saturday was described as the new hope of the African aviation industry. Capt. Allan Roebuck, Director of AUAA, told the News Agency of Nigeria (NAN) in Johannesburg that Mr. Odozor completed all the 37 flying procedures in record time. 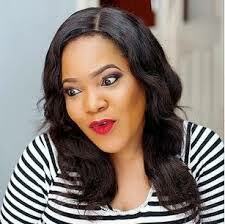 “The academy is proud of this young Nigerian, with the award of licence and certificate to him. 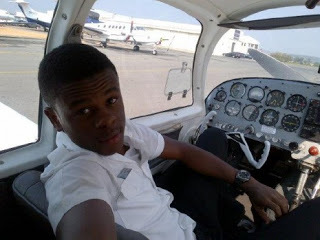 Today, I can say he is the youngest commercial licence pilot in both Nigeria and South Africa.“I cannot say now if he is the youngest African to attain that record, but I’m sure he is the youngest in South Africa and Nigeria,’’ he said. The AUAA director noted that it requires a lot of hard work, focus, punctuality and discipline to be trained as a commercial pilot. “It is not enough to be academically sound to be a good pilot. It requires focus, punctuality, and discipline to get the commercial licence and certificate. “It has been a long road for the group of qualified pilots to obtain their licences. With the award of certificate, they can fly commercial planes,’’ Mr. Roebuck said. He said the new pilots underwent two years of rigorous training and 37 flying procedures. On his part, Mr. Odozor said he had always dreamt of becoming a pilot. “Flying a plane has been my childhood dream, and I am happy today that I’m a licensed commercial pilot at the age of 20. “I never expected myself to be the youngest Nigerian to get the commercial pilot licence, not to talk about in an advanced country like South Africa. I was just pursuing my childhood dream of being a pilot. “But I thank God that I have now made history, as a record licensed commercial pilot in both Nigeria and South Africa,’’ Mr. Odozor said. He said his immediate plan was to go for his instrument type and rating courses. “Aviation training is very wide. This is just the beginning. My immediate plan is to enrol for my instrument type rating and Boeing 737 training courses,’’ Mr. Odozor said. Mr. Odozor has equalled the record set by Ed Gardner, a Briton, who obtained his commercial pilot licence at the age of 20 in 2008. Before heading for South Africa for training, the Nigerian attended Uchenna Secondary School in Owerri, the Imo State capital, graduating in 2009.